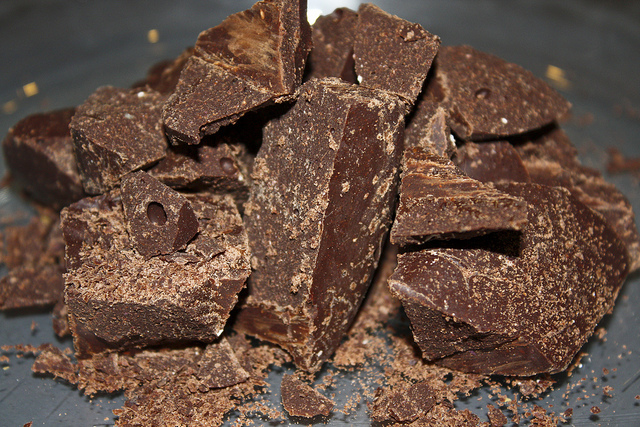 Home / Archive by category "Food and Recipes"
Super Healthy Chocolate………and it’s still DELICIOUS! The chocolate that you find in your supermarket has lost all of it’s goodness, containing refined sugars, chemical additives and nasty preservatives and contributes to decreased immunity, alergies, obesity and a stack of other health issues. The great news is, if you eat the right type of chocolate, not only does it taste incredible but it’s super good for you! The savior for chocoholics everywhere is the raw cacao bean. One of nature’s most fantastic superfoods due to its mineral content and wide array of unique properties. Cacao beans were so revered by the Mayans and Aztecs that they used them instead of gold as money! Cacao is high in protein, carbohydrates and healthy fats making it an incredible high-energy source and also a good source of minerals such as magnesium, iron, copper, and calcium. Even Better!…Raw Chocolate (made from the pure Cacao Bean) is a great source of neurotransmitters (serotonin, dopamine, anandamide and phenylethylamine) which are associated with feelings of wellbeing, happiness and emotional joy so it can help to alleviate depression. The kids will love raw chocolate too! Add all ingredients into a mixing bowl , or a blender. Poor into a tray or dish.Then allow to set in fridge. That’s it! A delicious, guilt free, quick and easy chocolate delight. For many years I had a chart in my kitchen with the highest antioxidant rich foods on the planet, and what do you think sat at the top of the tree??? Kale! Or, as I like to call it, lettuce on steroids or “the green with grunt”. Kale is absolutely incredible. It’s anti-cancer, anti-inflammatory and chock-a-block with antioxidants. The problem is that with all the recent hype about this powerful green “super-food”, prices for kale products have skyrocketed. The good news is that buying a bunch is cheap as chips. Kale is a hardy green and many people struggle to eat it raw in a salad, so instead they steam it or add it to soups and so forth. The problem with doing this is that as you heat it, it loses its innate potential and lowers the mighty grunt that nature so beautifully intended. The best way to consume kale is raw, and the way to make it more palatable and more efficiently digestible is “massaging” the kale. Massaging raw kale transforms it from a tough, somewhat bitter leaf into a sweet, delicate salad, and it only takes a few minutes! Massaging kale only requires a few ingredients that you probably already have on hand. I typically use a simple mix of a little salt and fresh lemon juice to help tenderize the leaves and some olive oil for flavor. The salt and acid in the lemon juice helps to break down the cell walls in the kale, softening it while making it sweeter. Research has shown the acidic lemon juice helps improve digestion and helps increase absorption of Iron! How cool is the synchronicity of food! Once you’ve gathered your supplies, get to work! De-stem the kale and tear it into bite-sized pieces. Add the kale to a bowl along with the salt and squeeze of lemon juice. When you massage the kale, think of the motion used to rub someone’s shoulders. (Hey, even kale needs some love.) Get in that bowl and don’t be afraid to get your hands dirty. 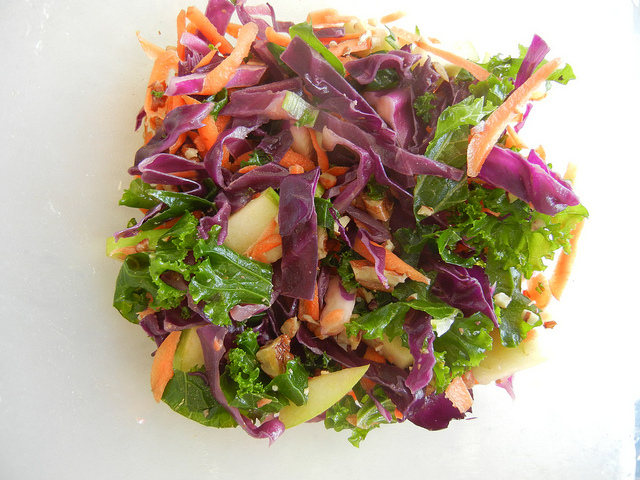 Once you have the Kale as the base you can also add so many healthy foods to the mix. The world is your oyster, so go and make some pearls.